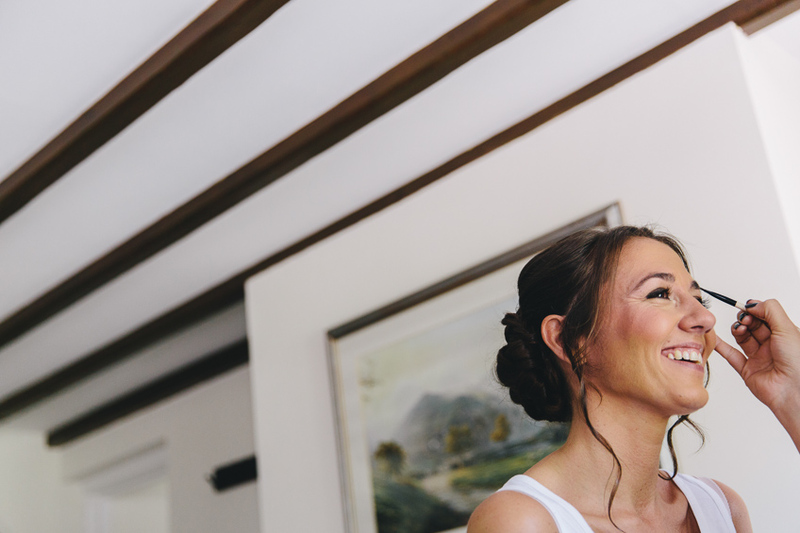 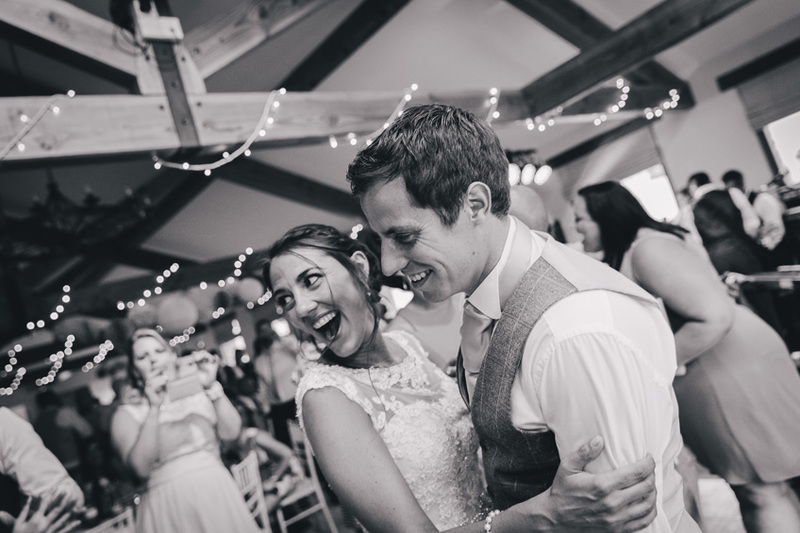 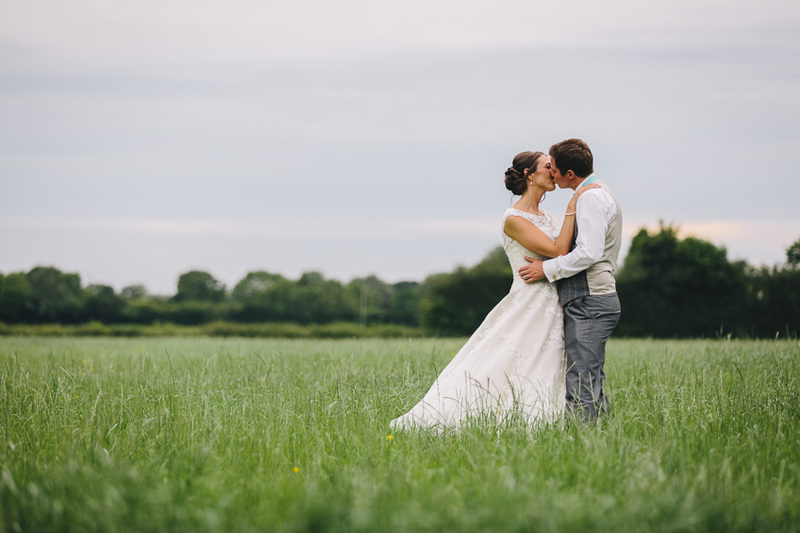 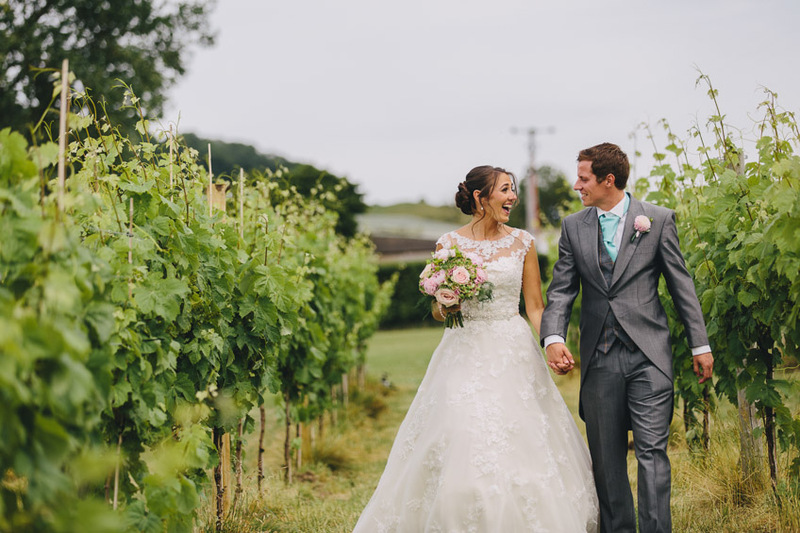 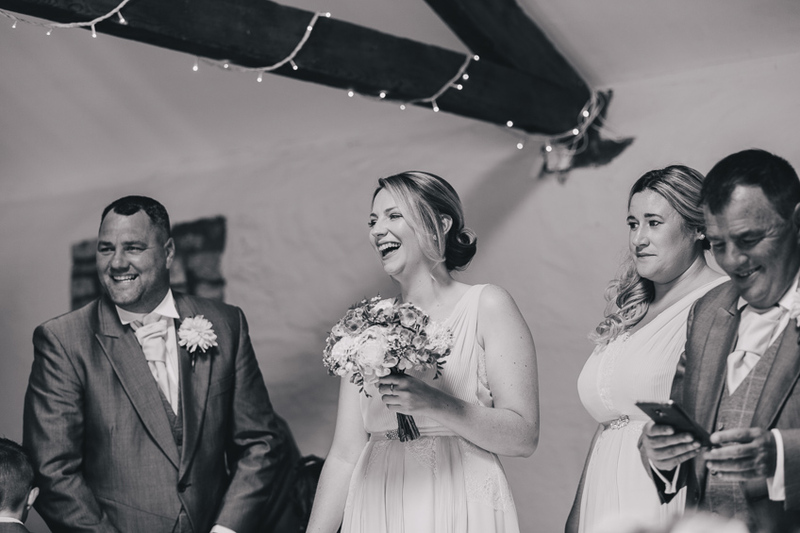 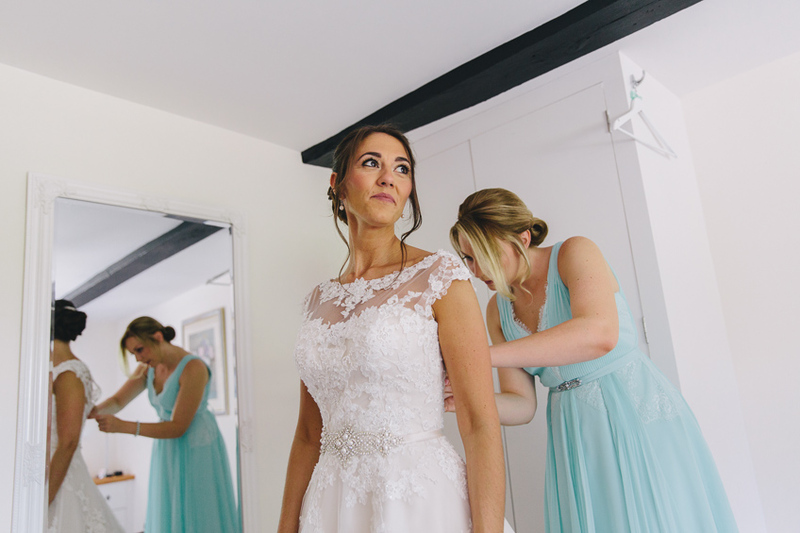 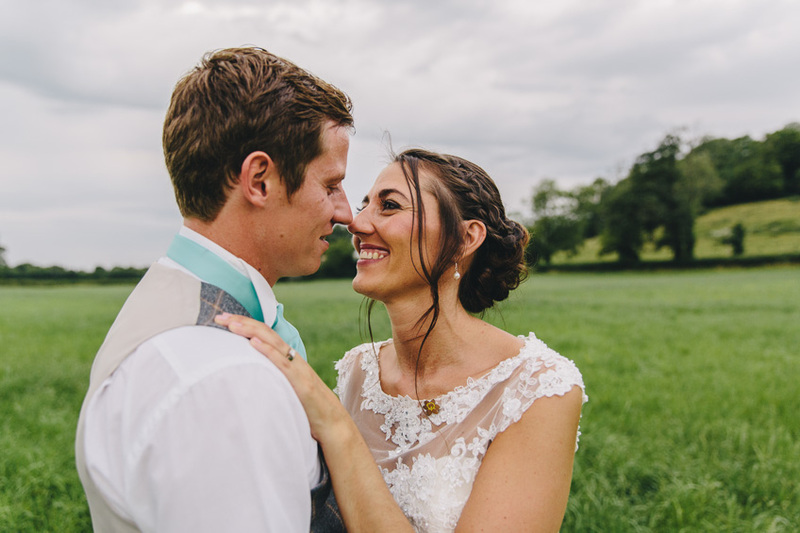 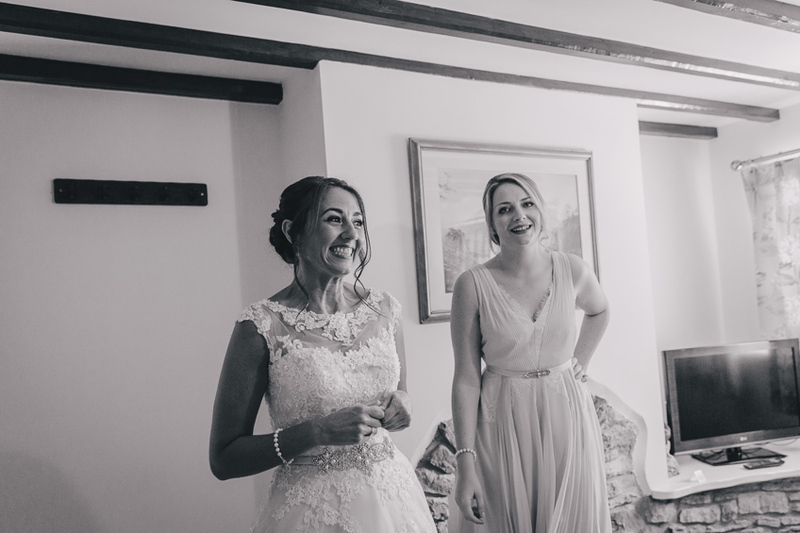 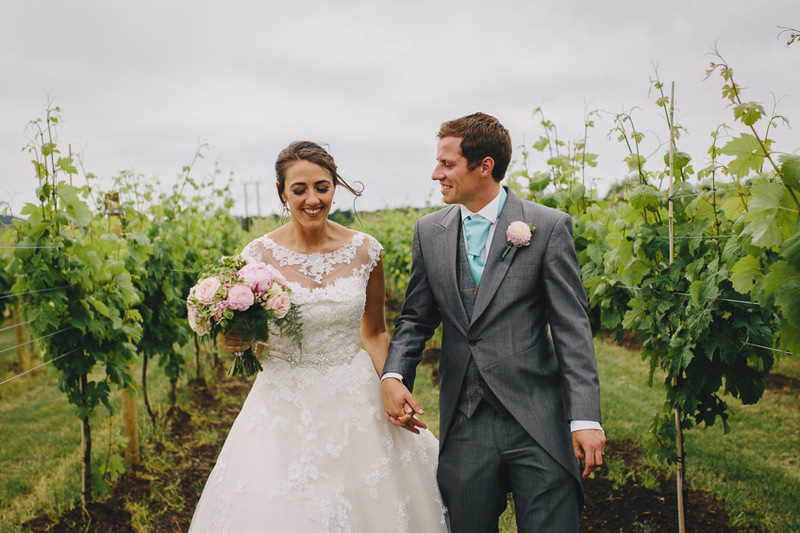 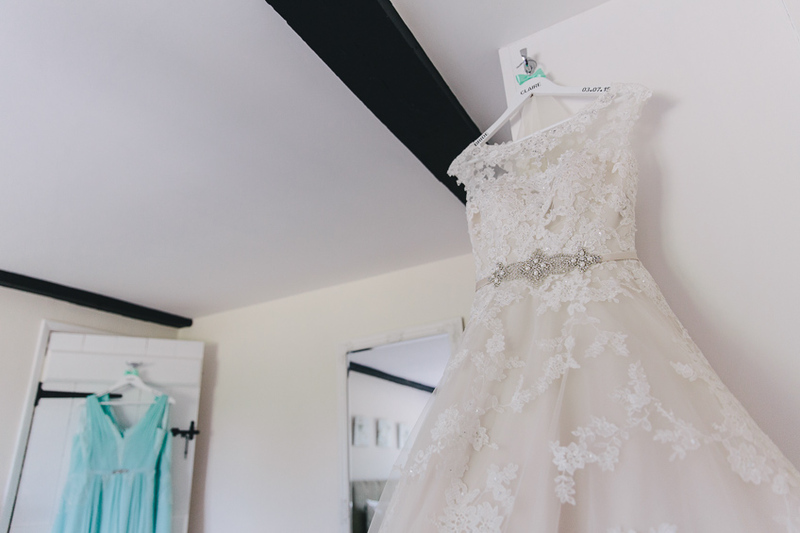 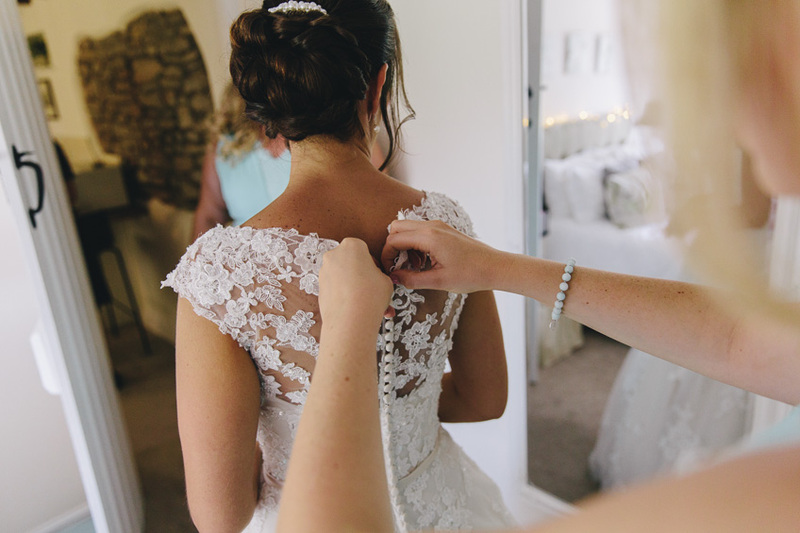 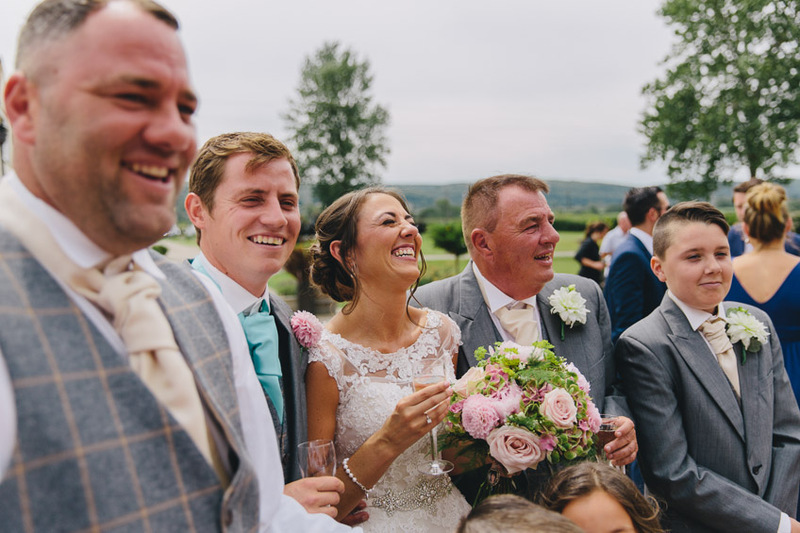 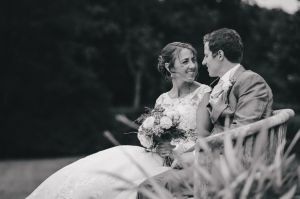 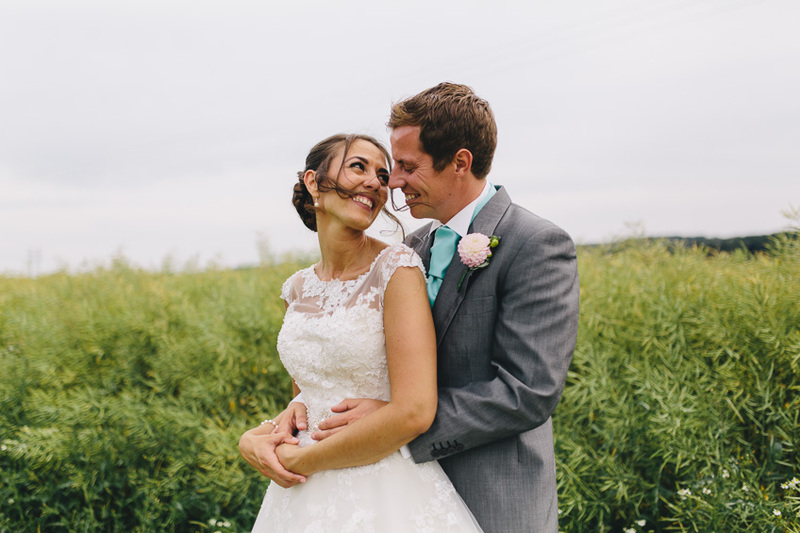 It’s about time I shared some of Claire & Ashley’s gorgeous Aldwick Court Farm wedding photos from the summer. 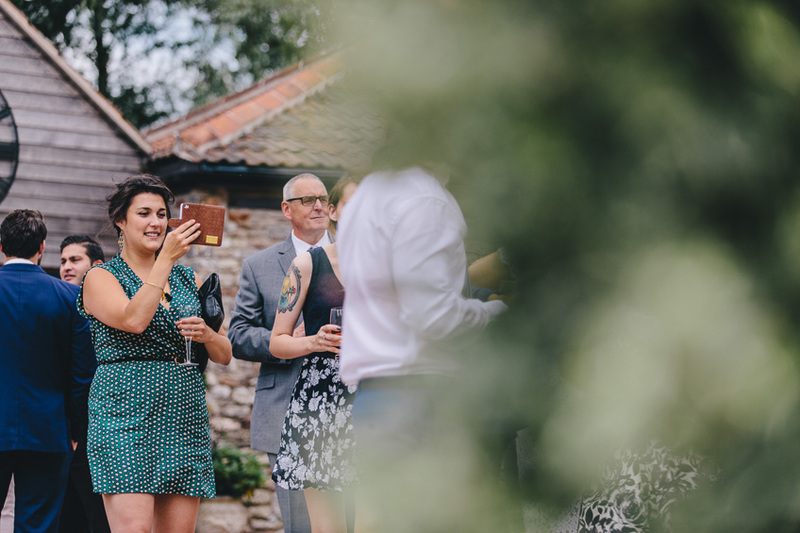 I don’t know if it’s just me or just the weather in general, but I seem to have been pretty lucky with the sunshine this year. This particular day in July was a hot sticky one, with a touch of whispy cloud to keep the squinty eyes at bay. 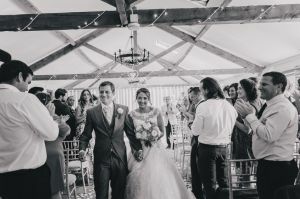 I was really pleased for them that the sun had come out, not least because Aldwick Court Farm makes for a fantastic summer venue. 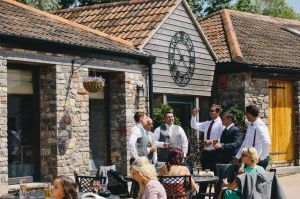 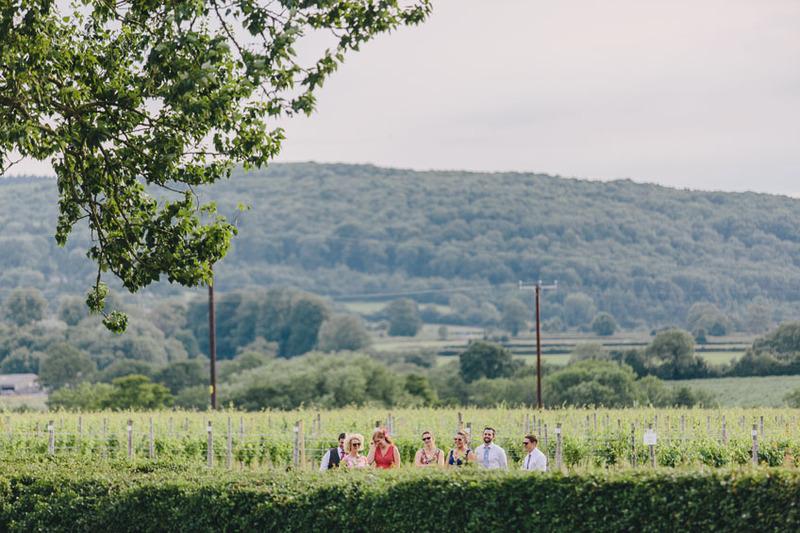 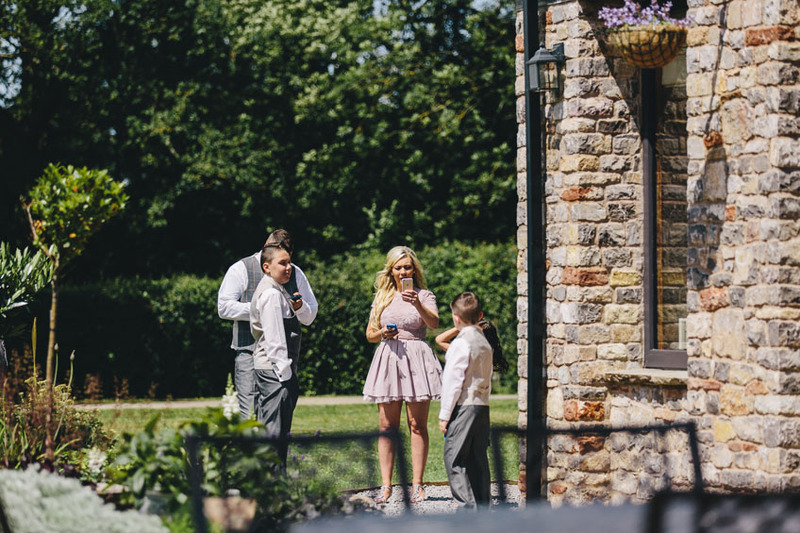 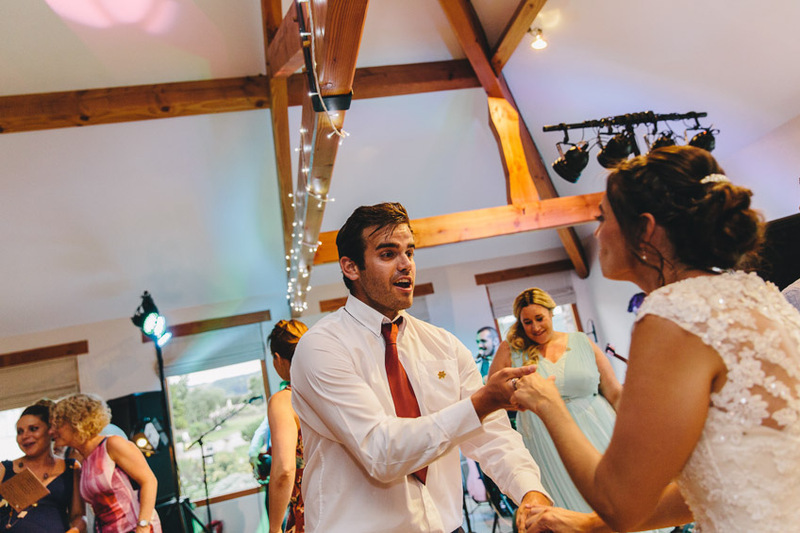 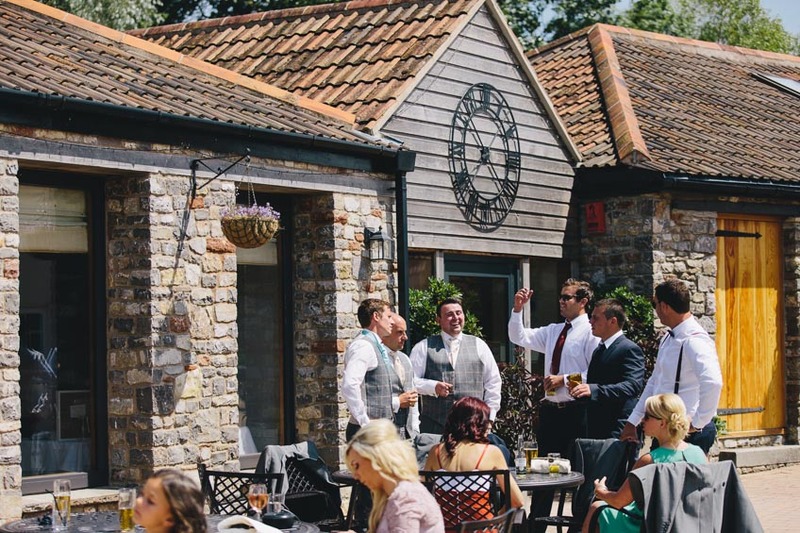 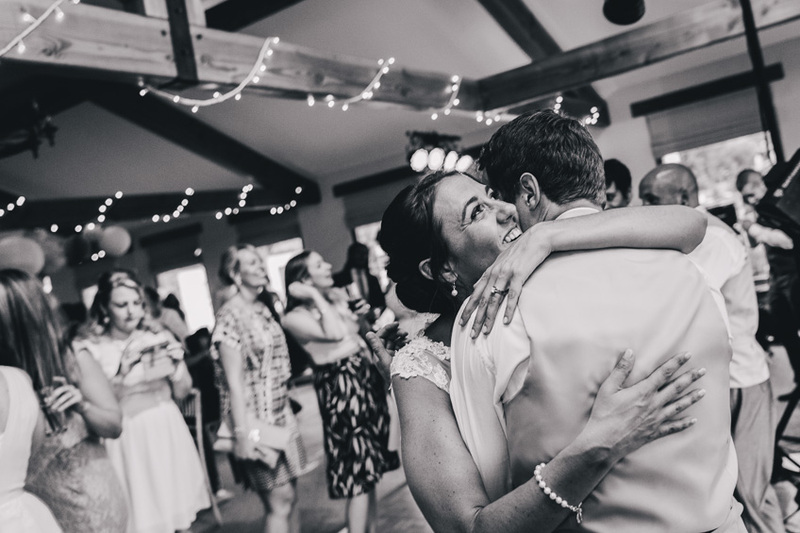 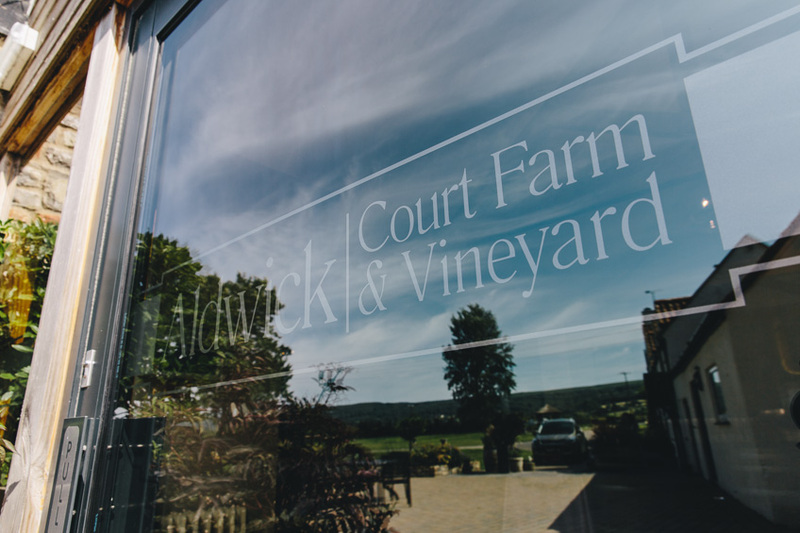 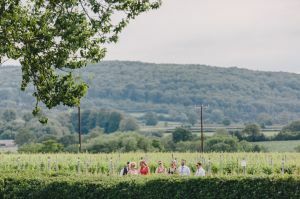 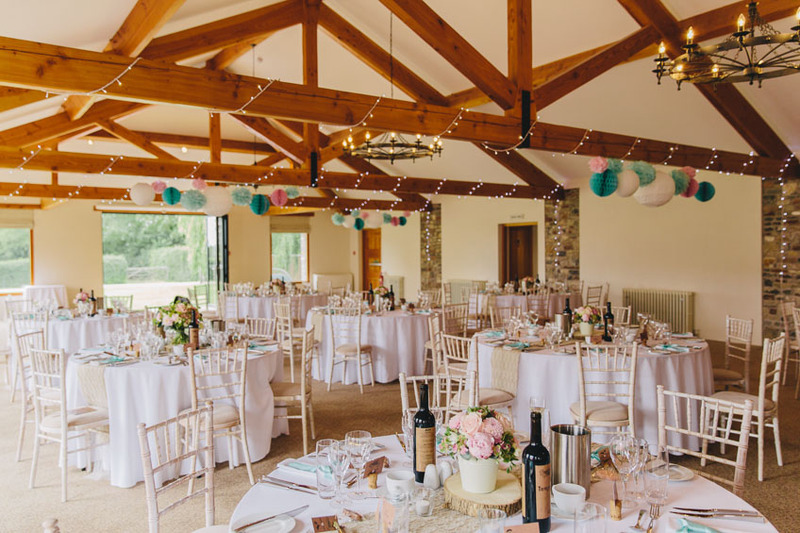 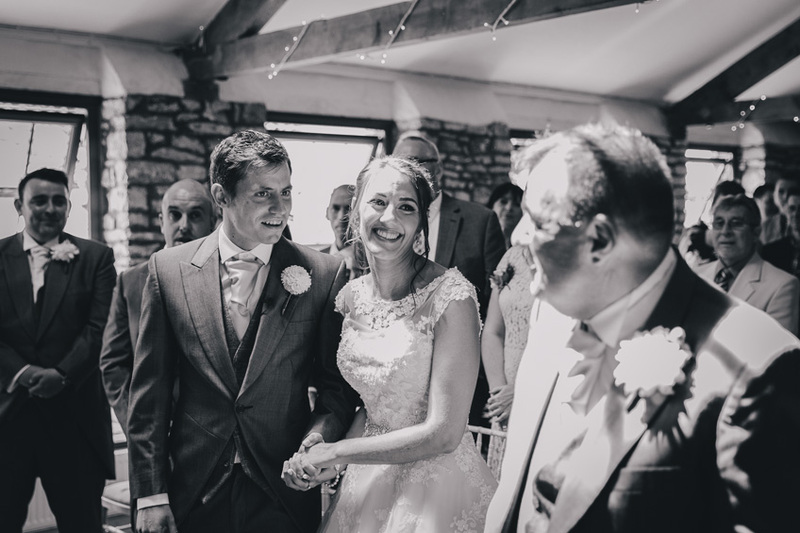 A relatively new wedding venue to the scene, Aldwick Court Farm is located around 25 minutes south west of Bristol. 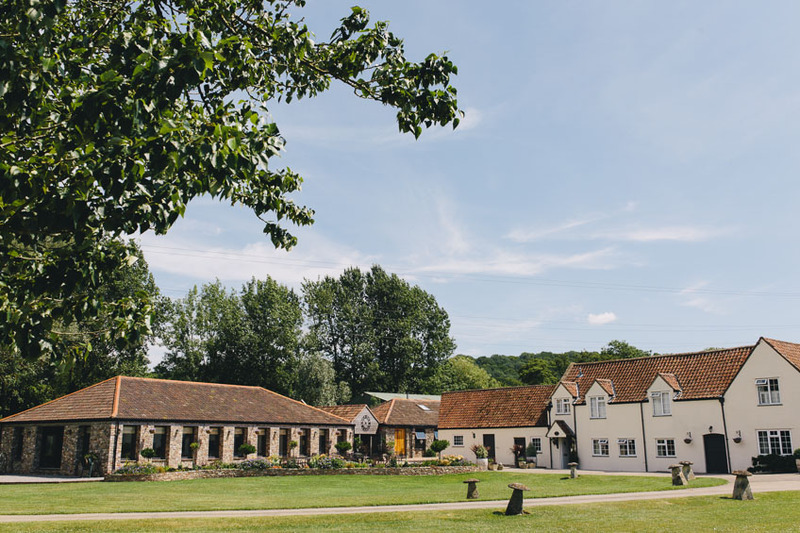 It’s nestled in the heart of some beautiful countryside. You need to navigate some narrow some windy lanes to get there, and it has some stunning scenery surrounding it. 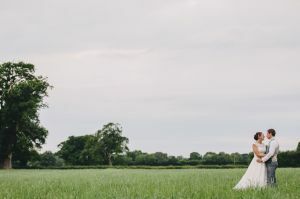 This was my first opportunity for some Aldwick Court Farm wedding photography, and I always like to take a good look around to see what I can find for interesting backdrops. 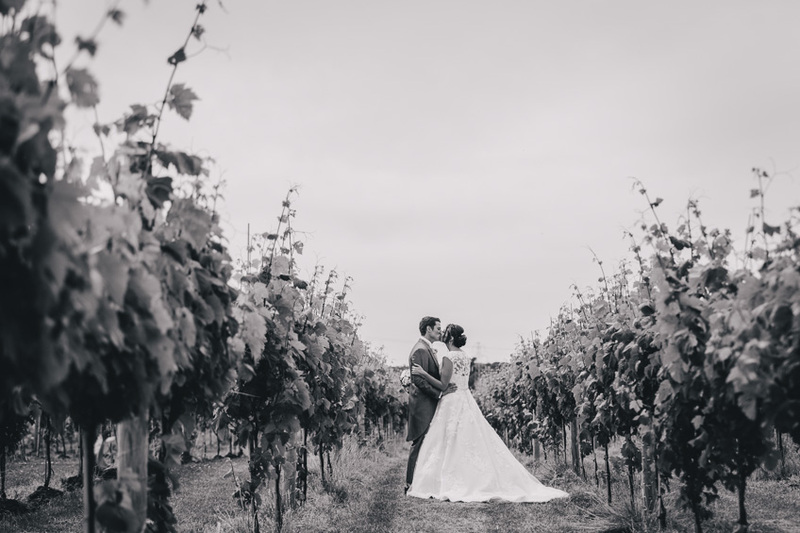 On this ocassion we made use of the lovely vineyard and a nearby field for their portraits. 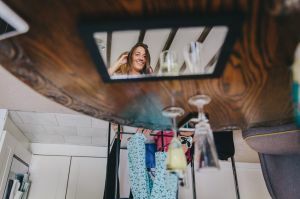 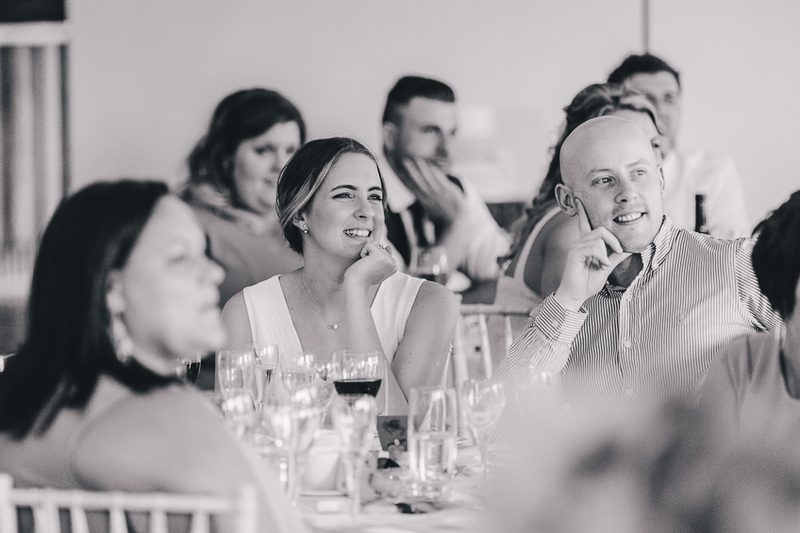 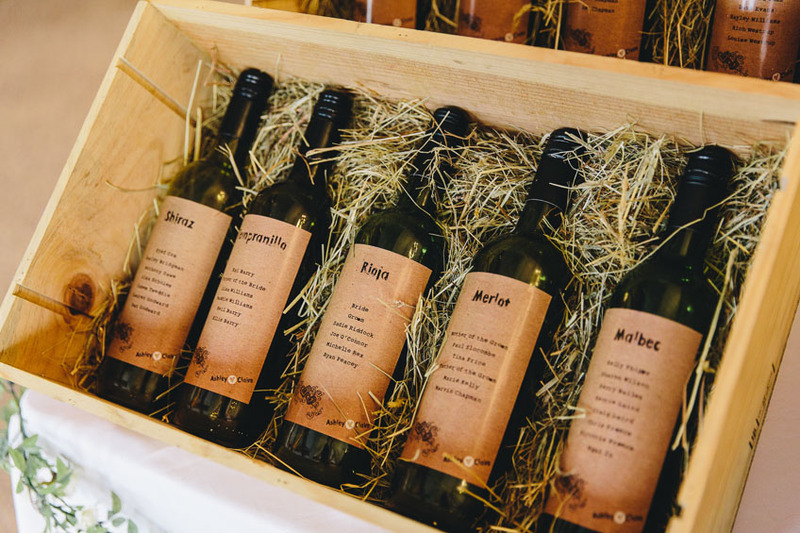 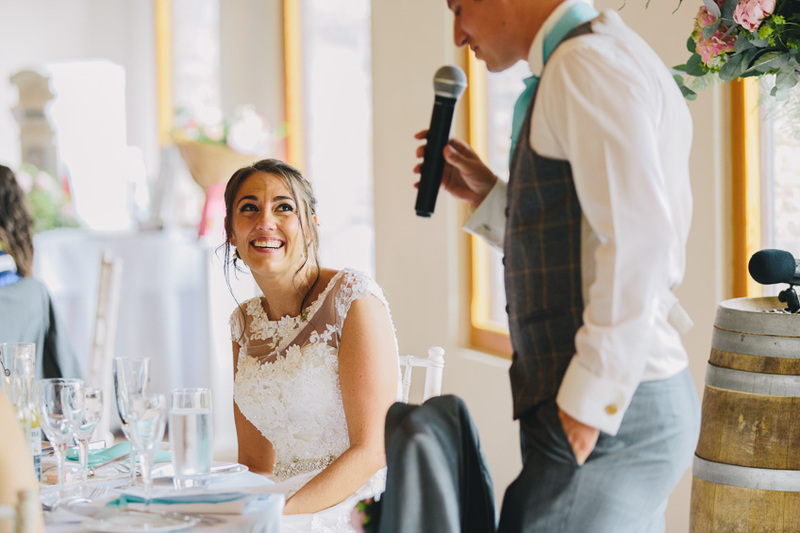 It was clear that Claire & Ashley had put a lot of effort into the details on the day (I thought the bottles of wine as a table plan were a great idea!) 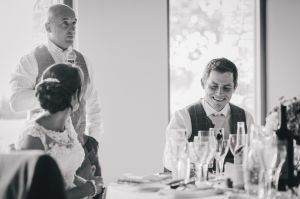 Everybody on the day helped foster a great atmosphere and it was smiles all round. 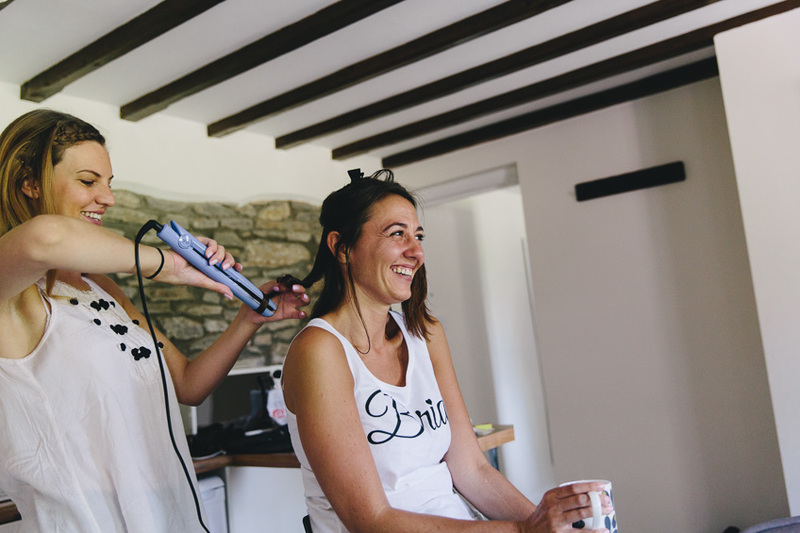 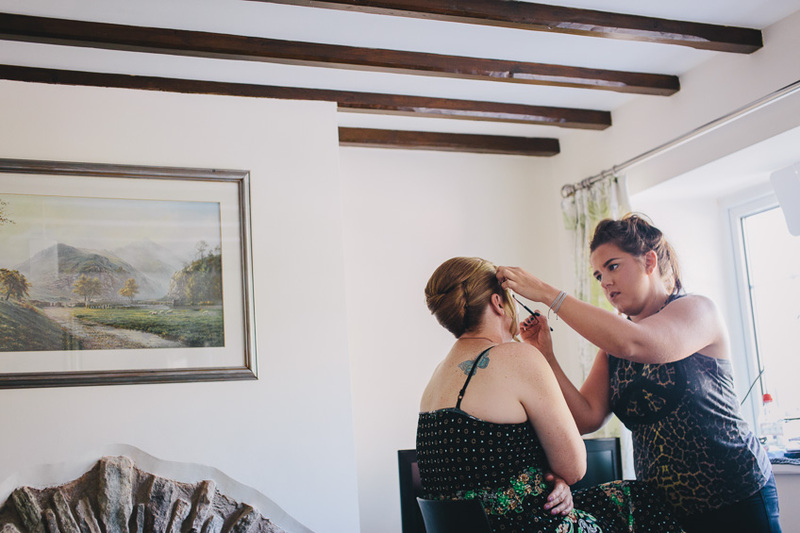 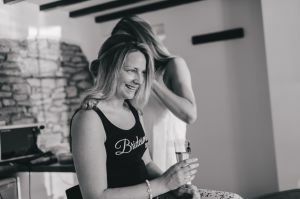 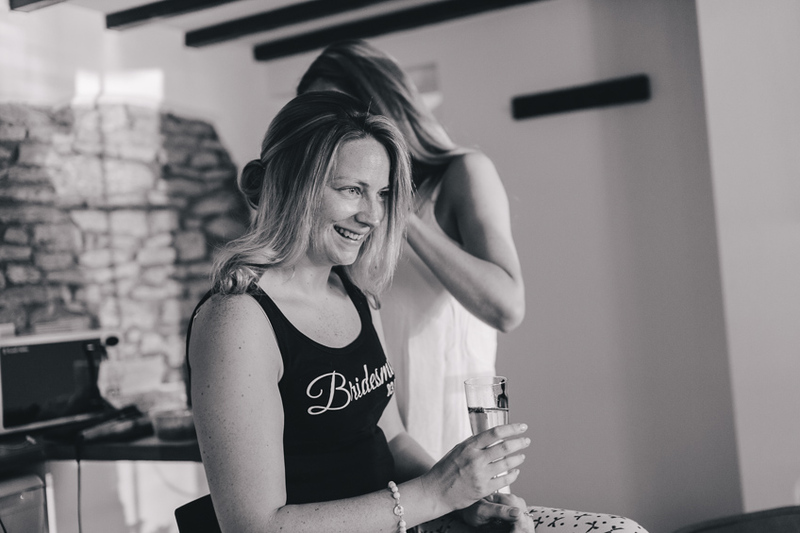 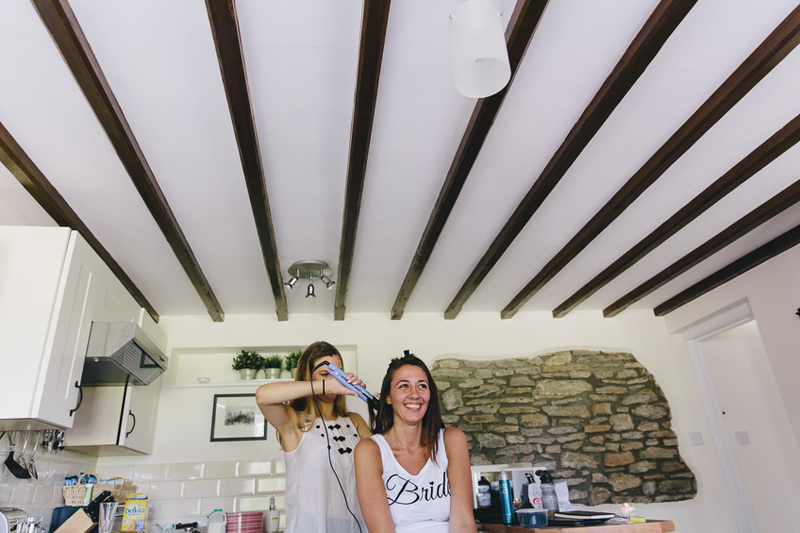 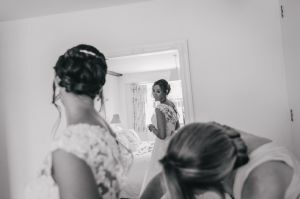 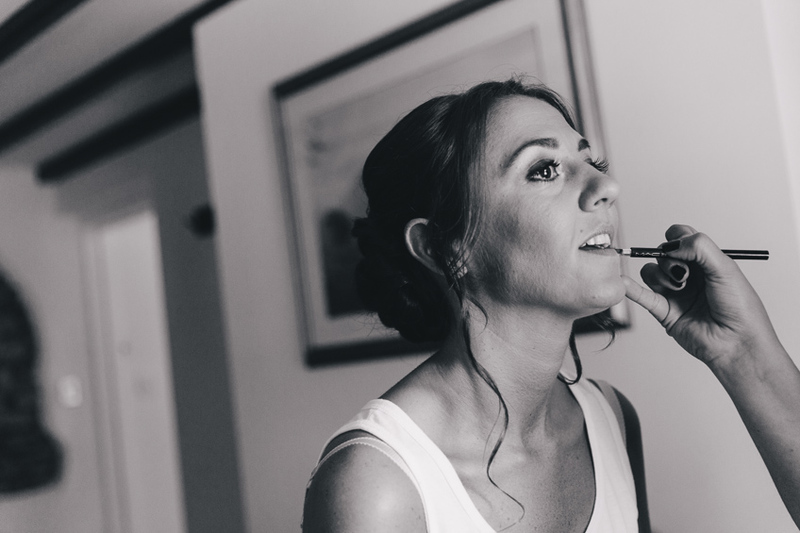 The day started off with Claire and the bridesmaids getting ready in the cottage just next to the main barn. 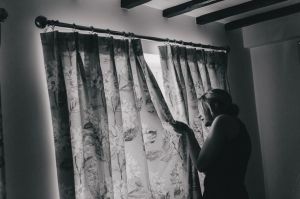 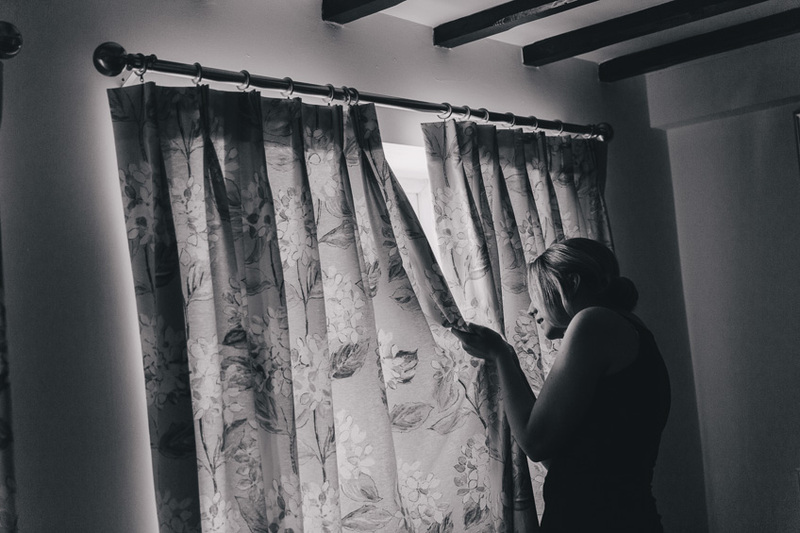 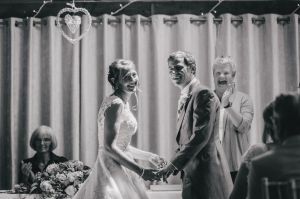 As Ashley and the guests arrived in the morning it was time to close those curtains! 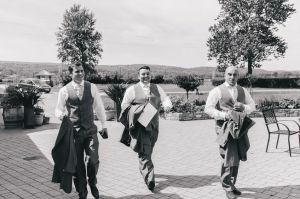 Thank you for having my guys, I had an amazing time! 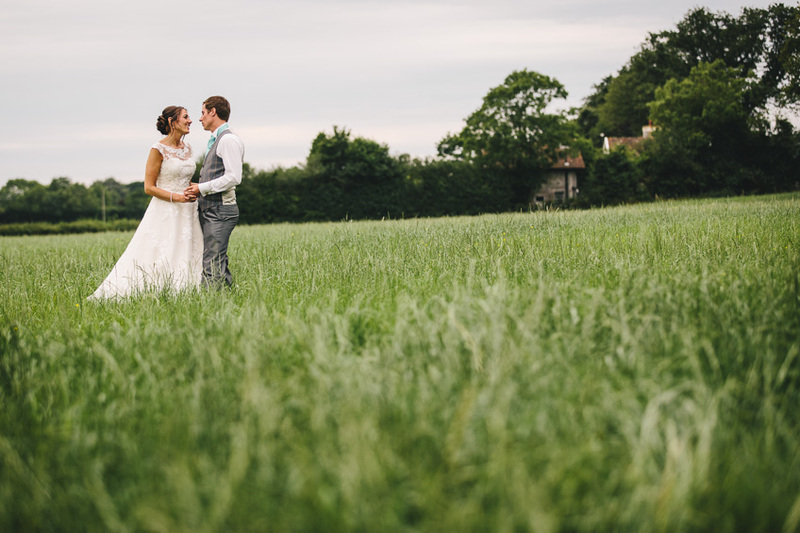 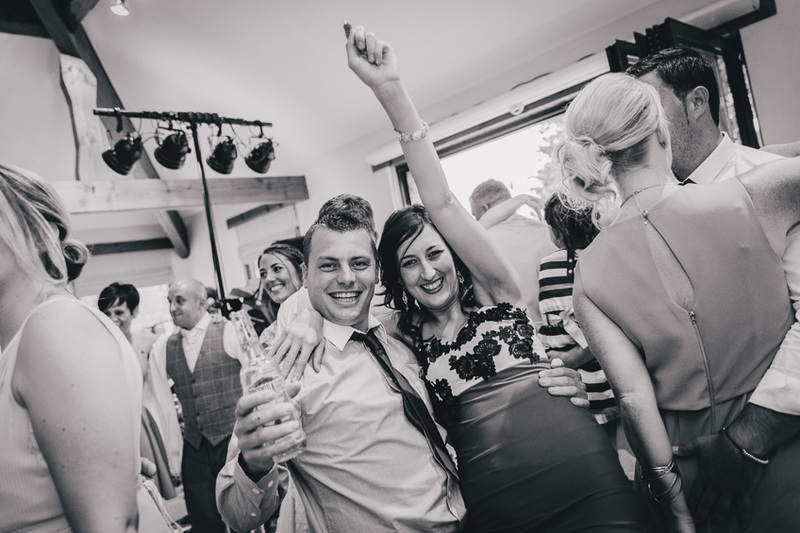 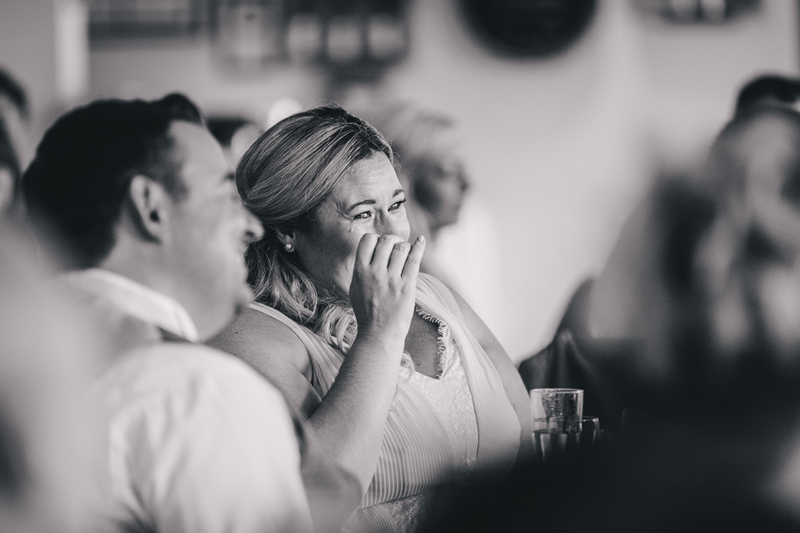 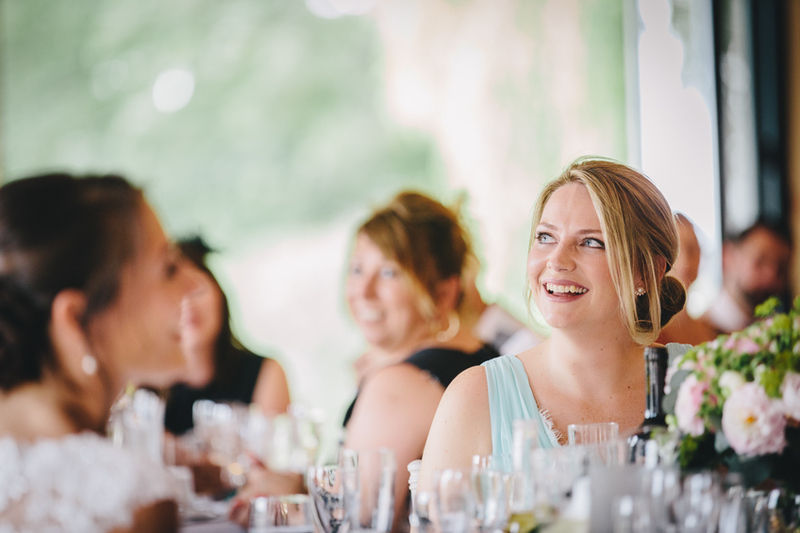 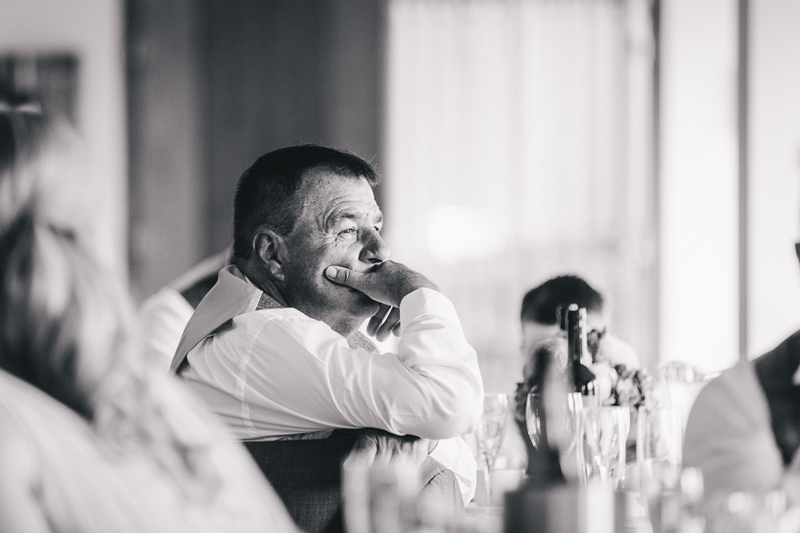 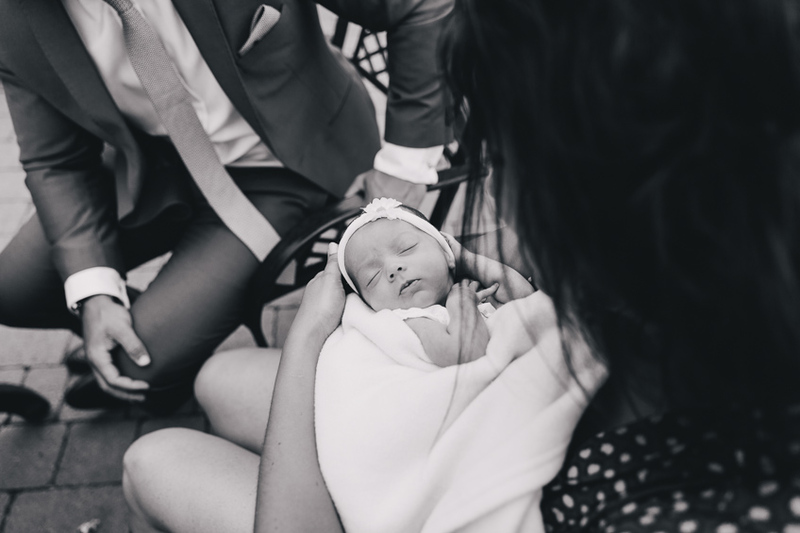 If you’re looking for an Aldwick Court Farm wedding photographer then please do get in touch! 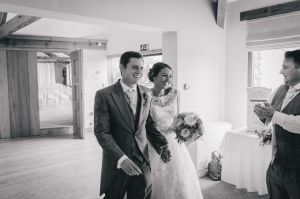 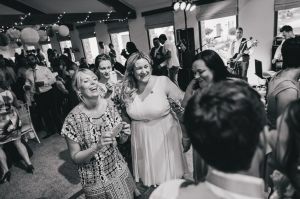 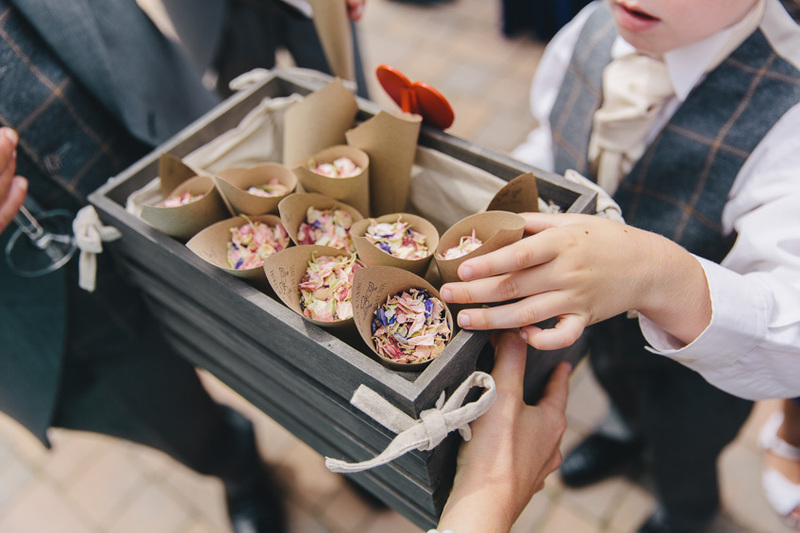 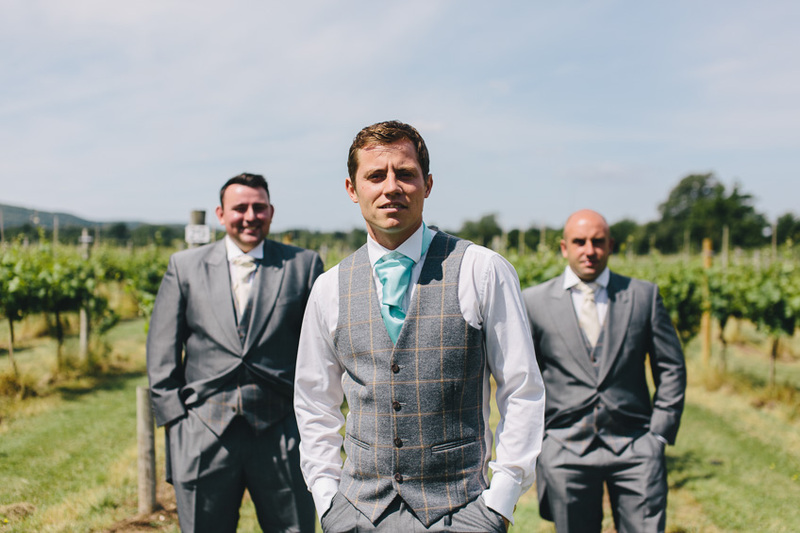 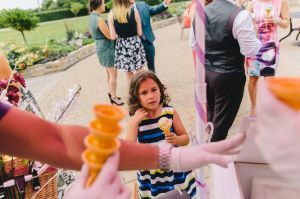 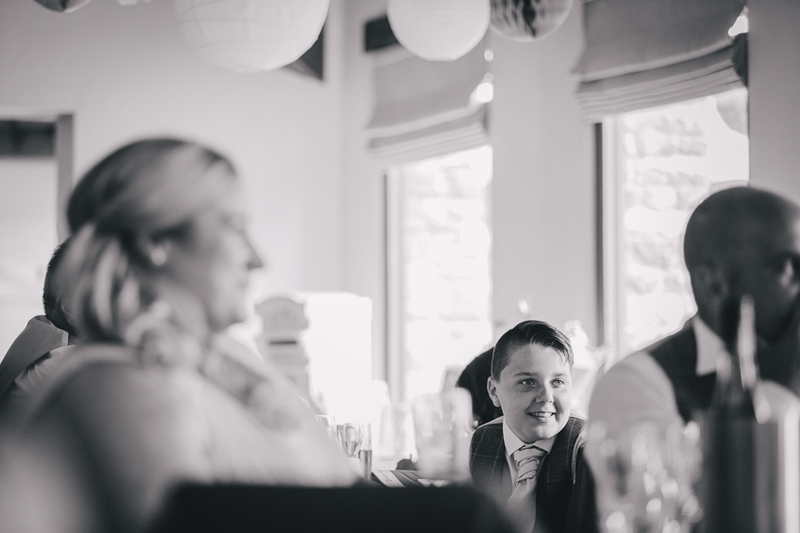 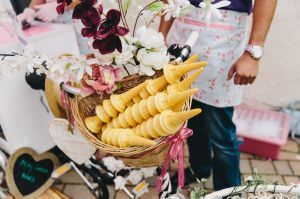 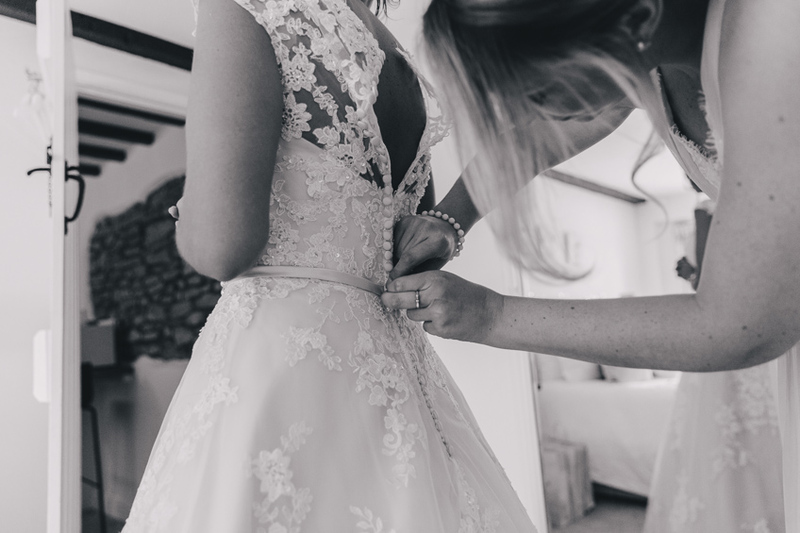 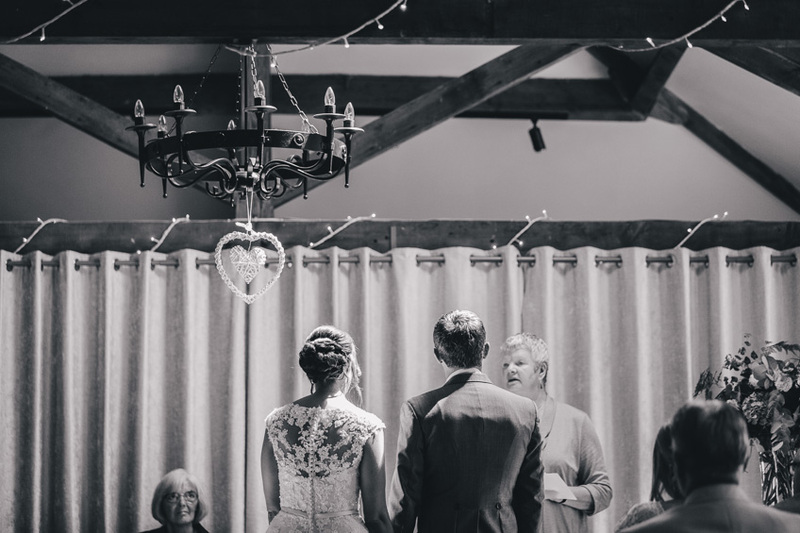 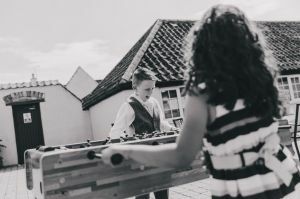 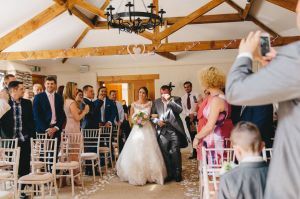 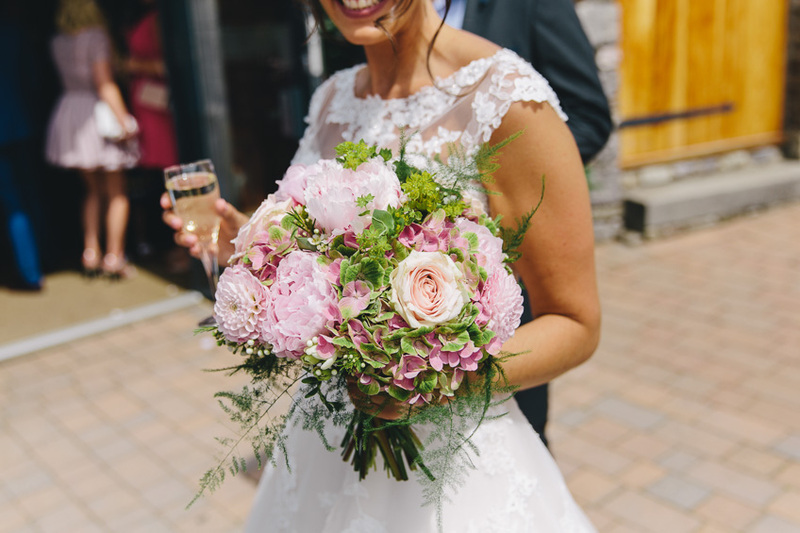 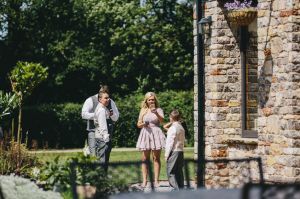 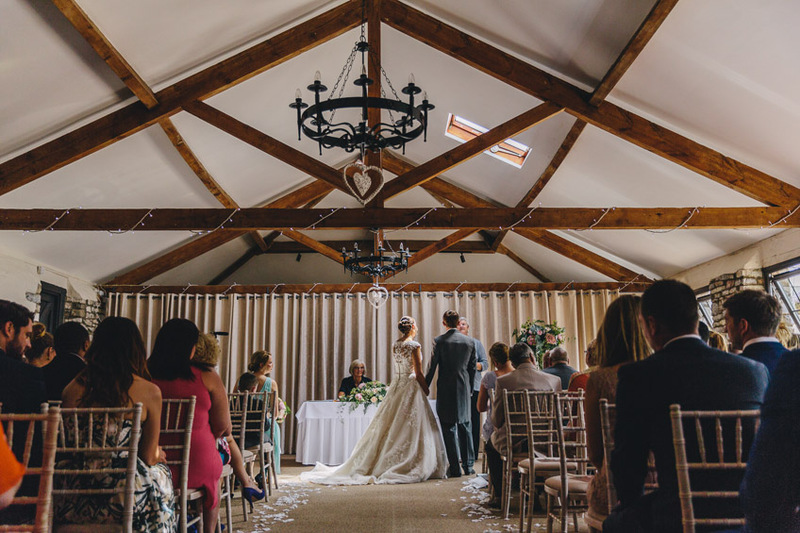 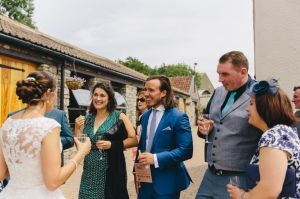 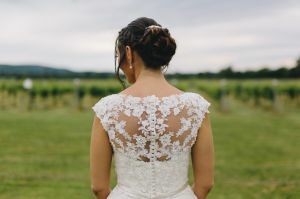 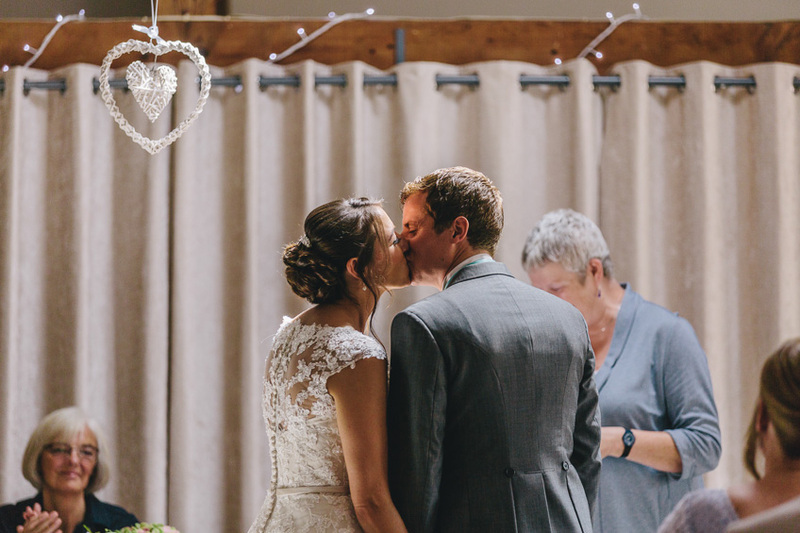 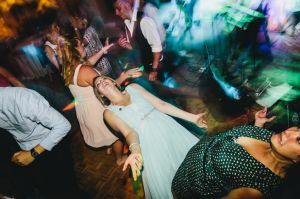 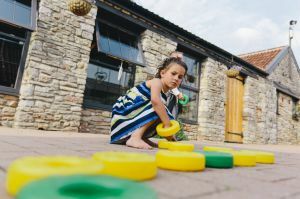 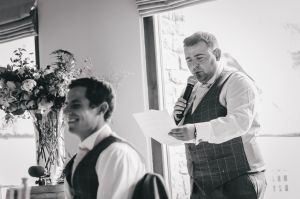 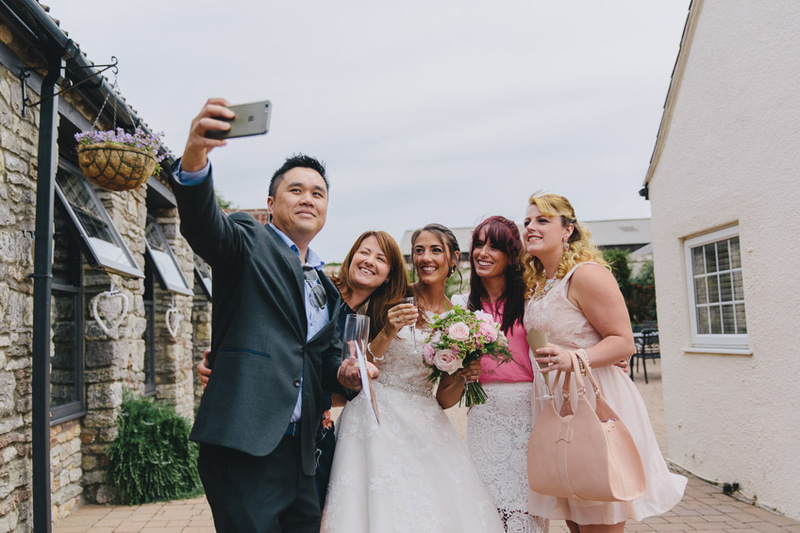 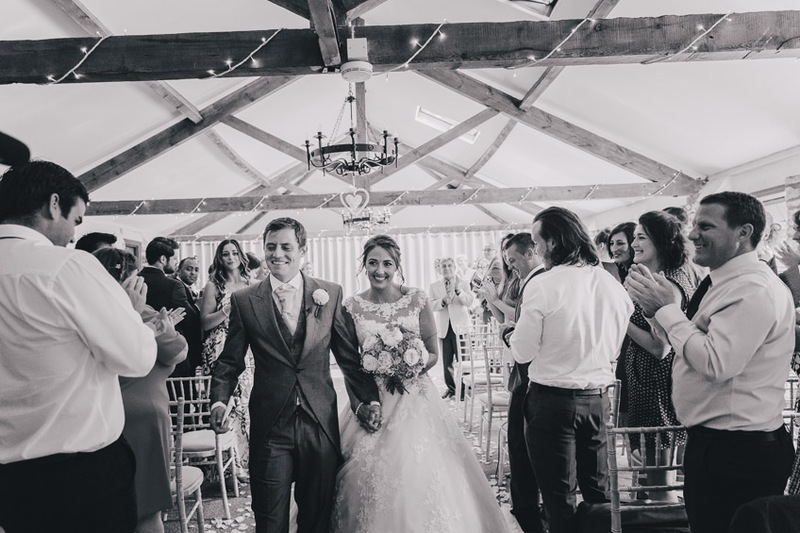 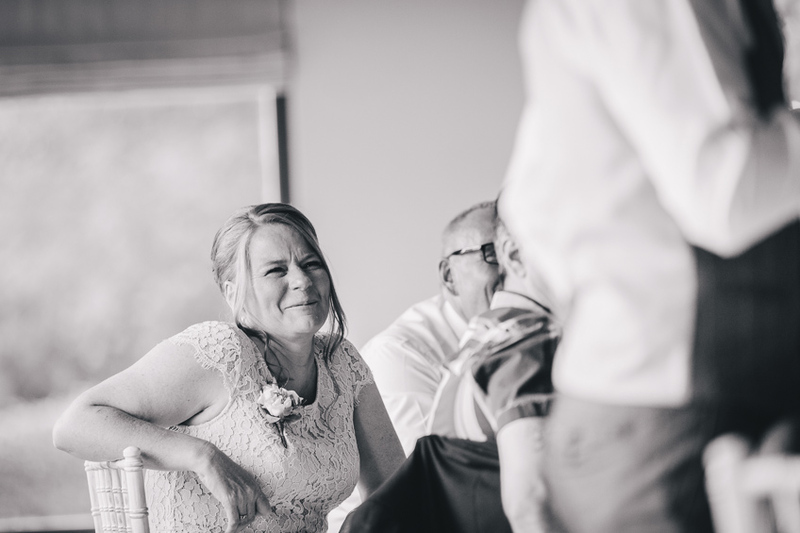 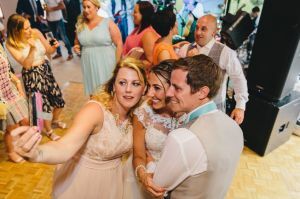 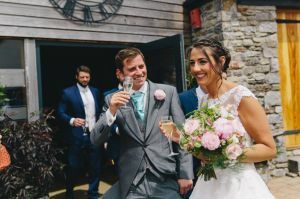 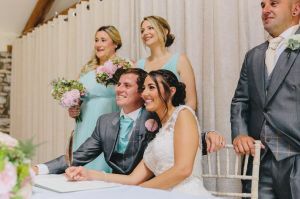 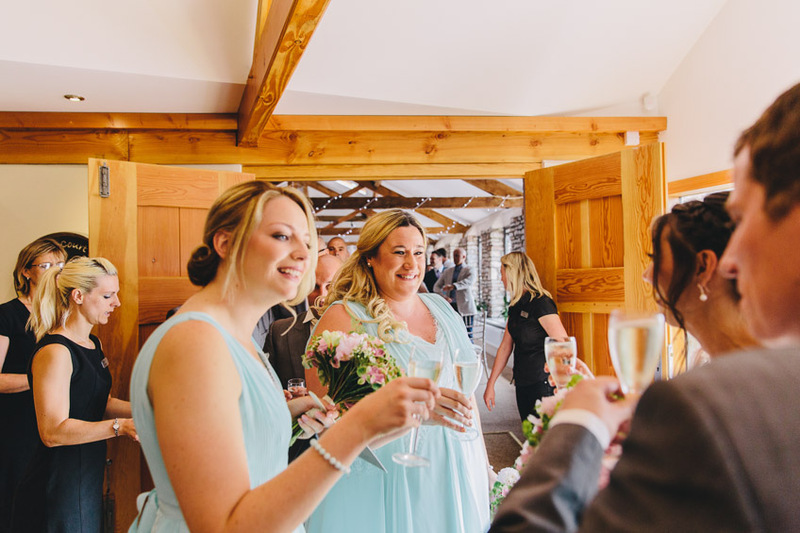 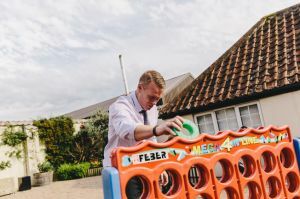 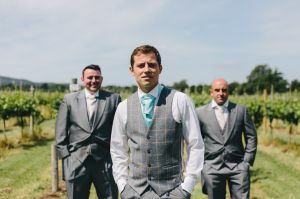 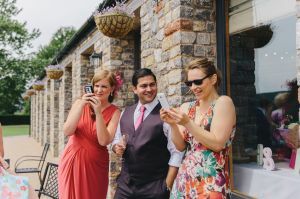 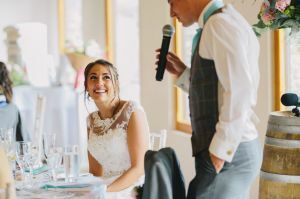 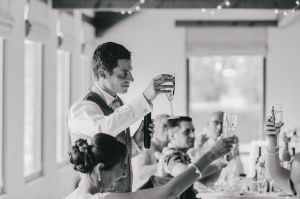 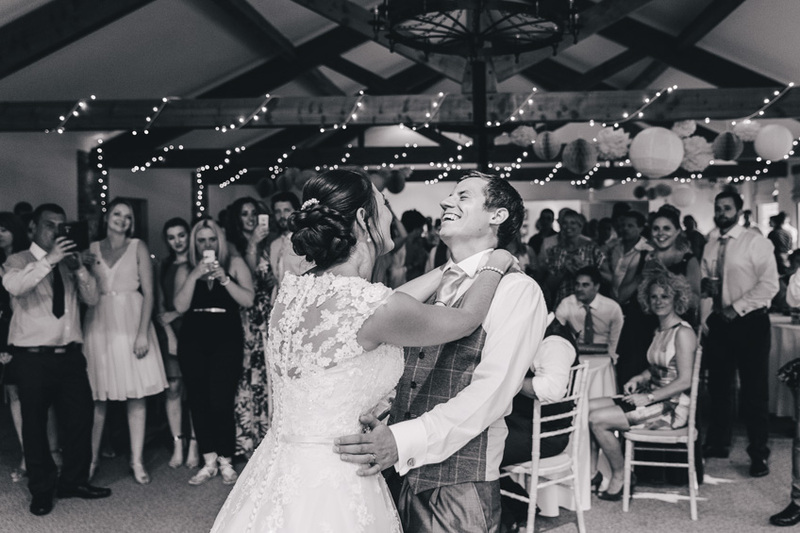 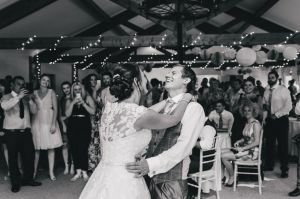 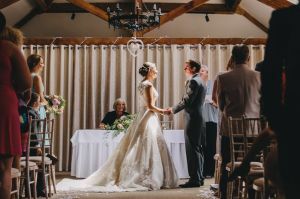 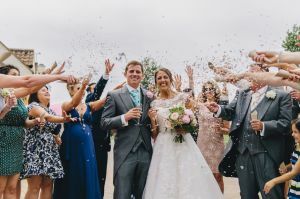 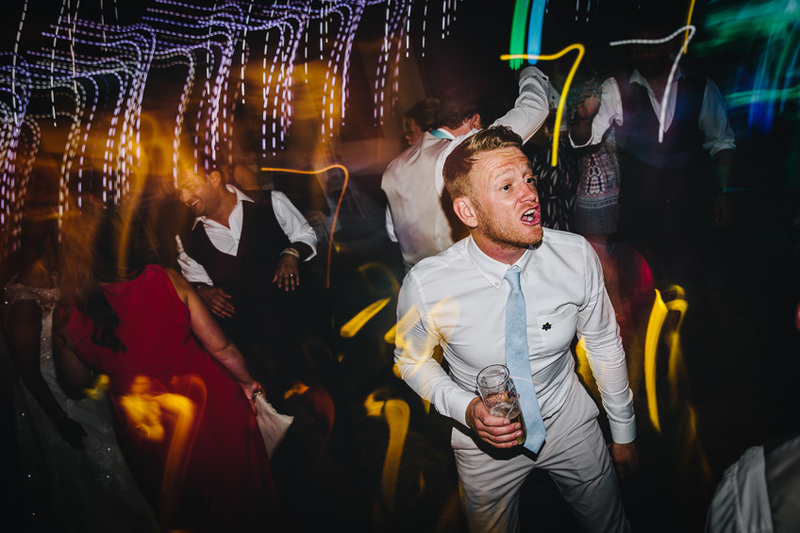 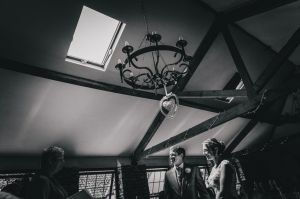 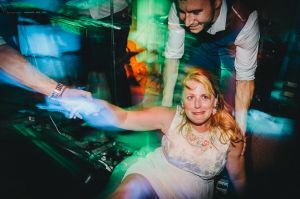 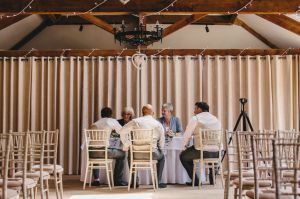 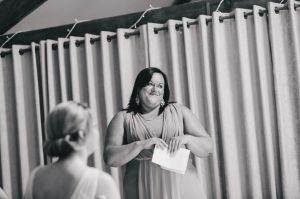 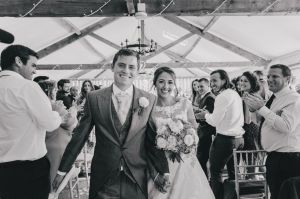 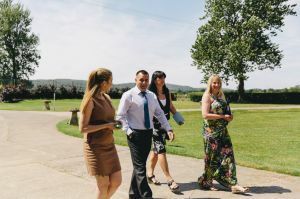 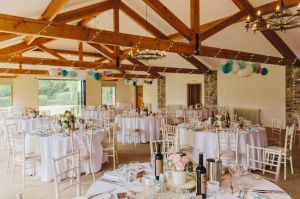 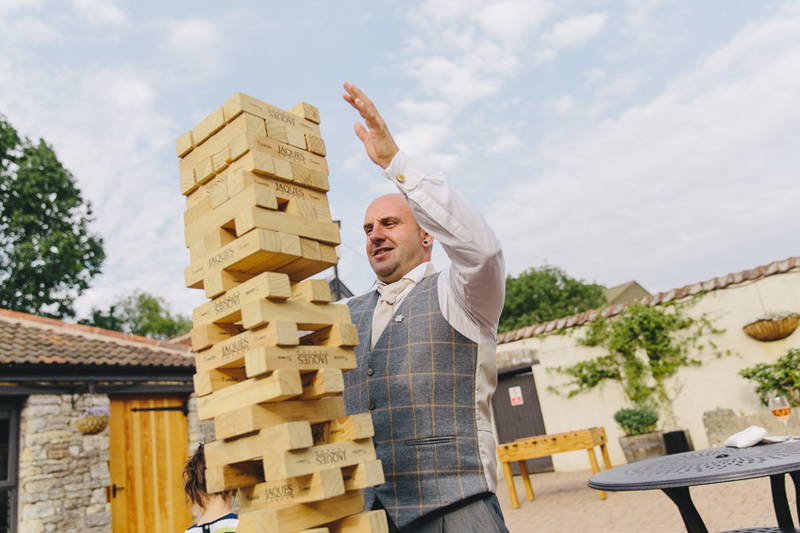 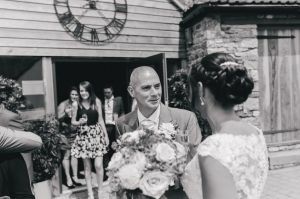 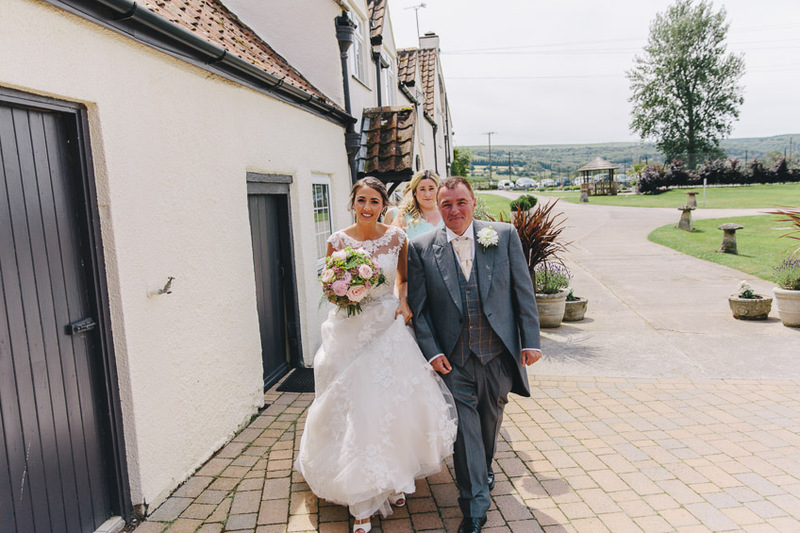 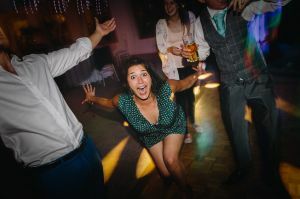 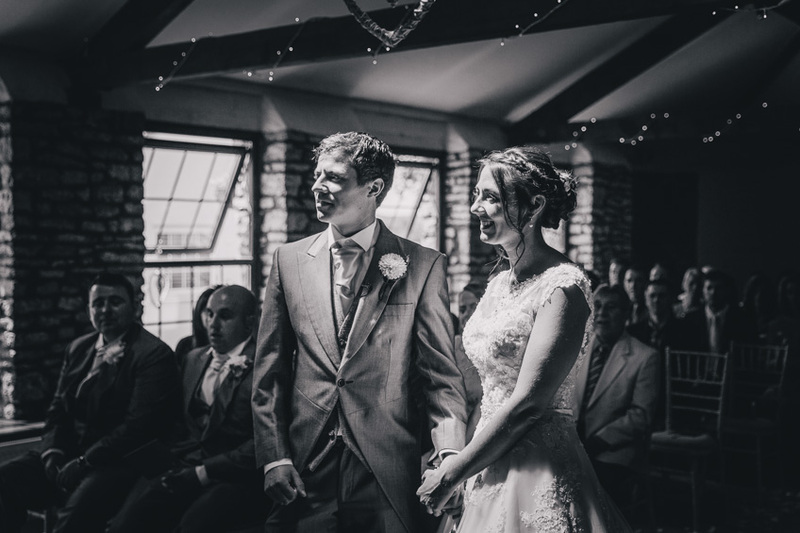 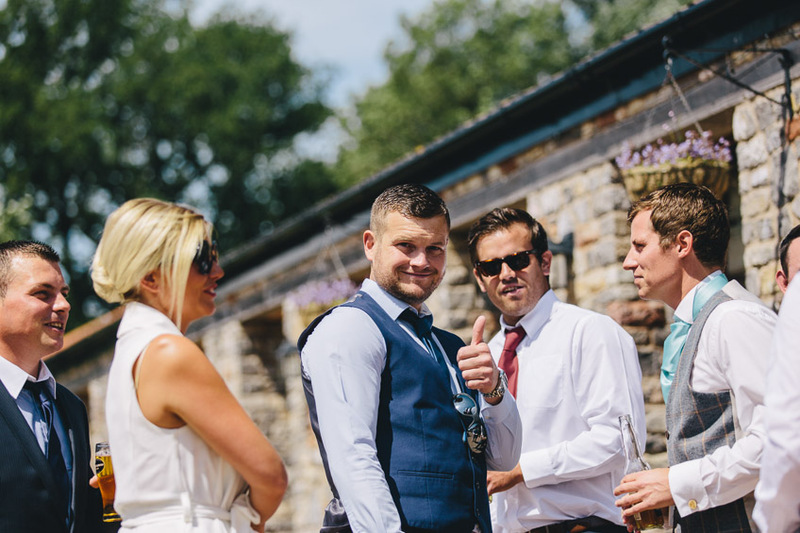 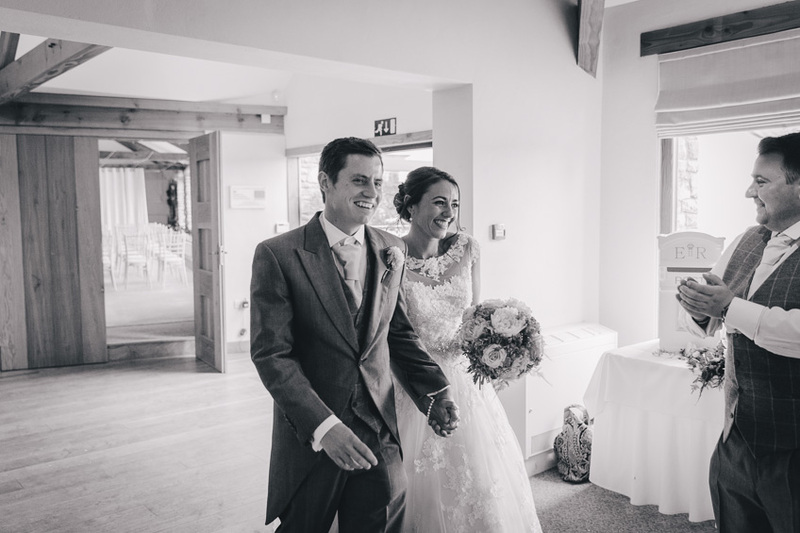 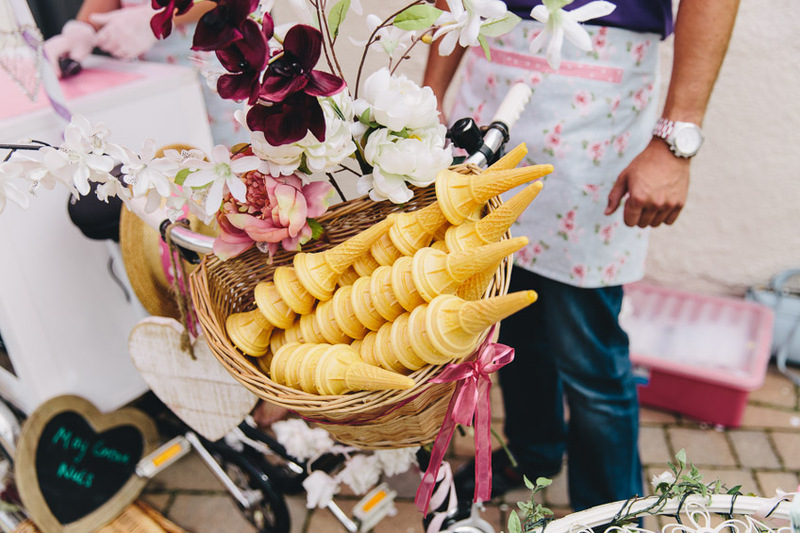 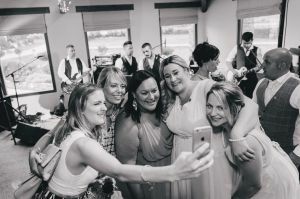 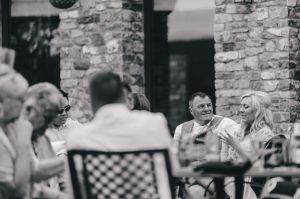 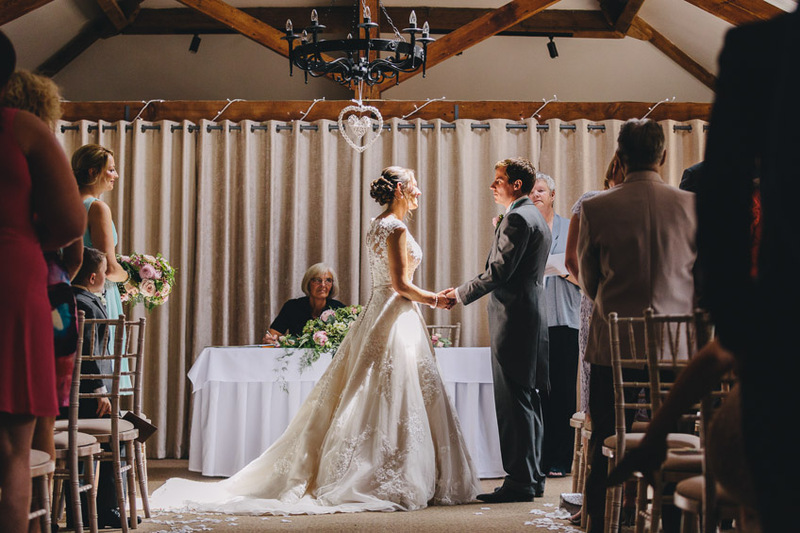 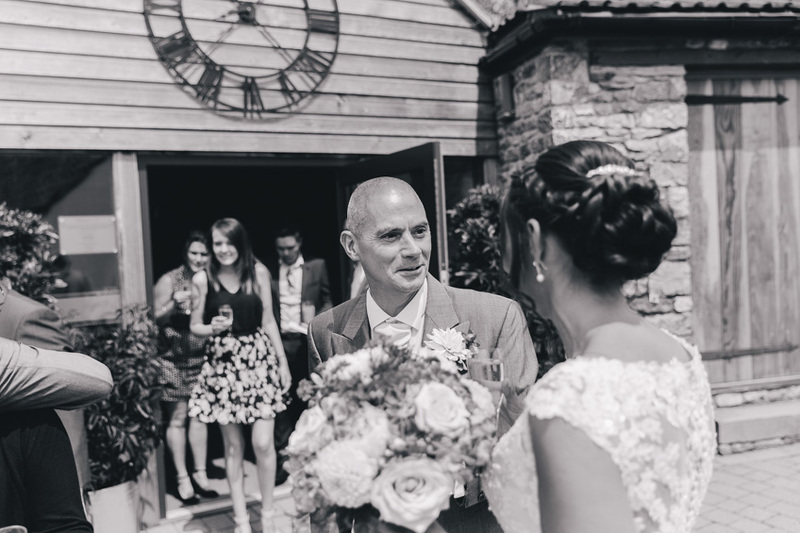 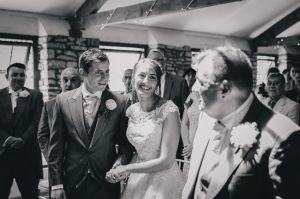 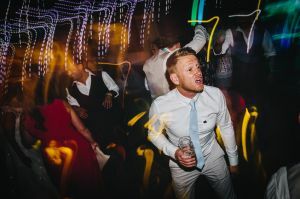 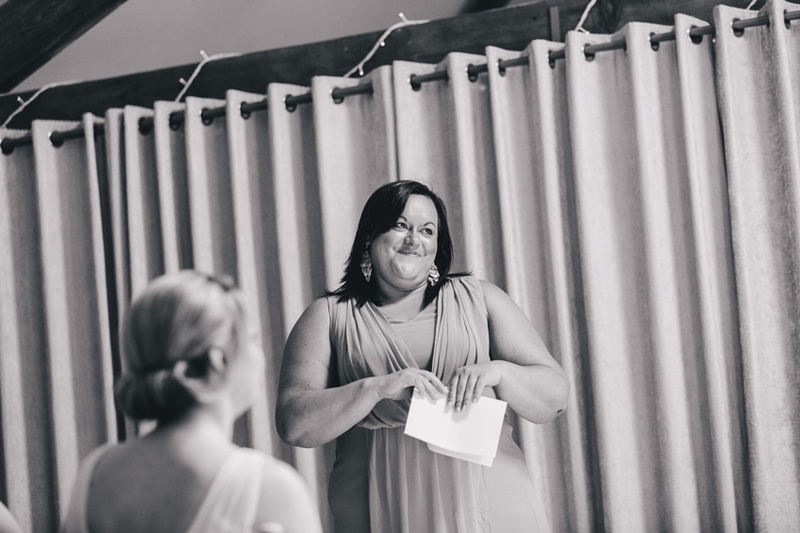 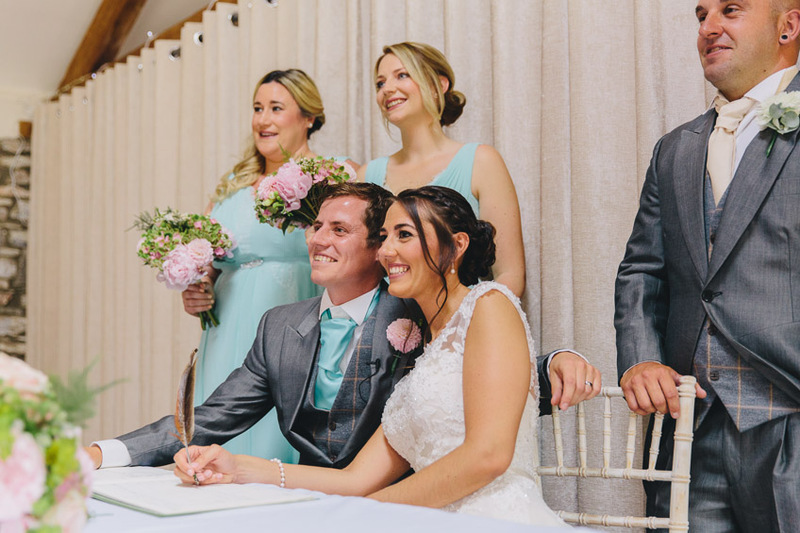 This entry was posted in Weddings and tagged Aldwick Court Farm, Countryside Weddings, Summer Weddings, Wedding Photography.